Bird provides electric scooters that can be rented and dropped off anywhere. 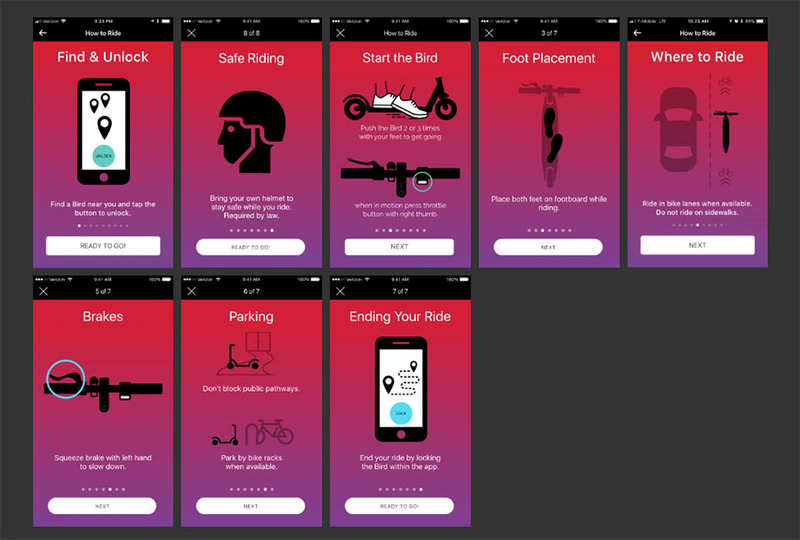 Users download the App to their smart phone and use it to check out a scooter, then drop it to await the next rider. 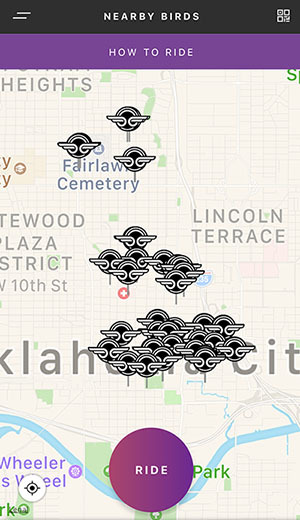 The Bird App shows scooter locations. The Santa Monica-based company has been agressively expanding all over the U.S. And overseas. Typically, they quietly drop their scooters in urban areas without seeking permits and the practice has frequently led to legal action. 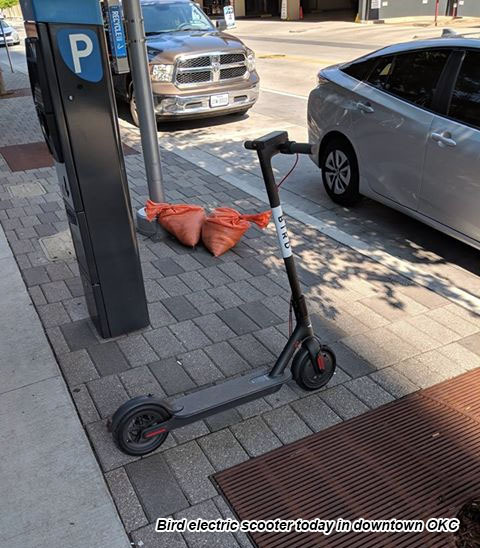 Bird suddenly and somewhat silently started the program in Milwaukee which has led to the city quickly passing an ordinance that would allow the scooters to be impounded. Oklahoma City is not currently listed as a market on Bird's website. 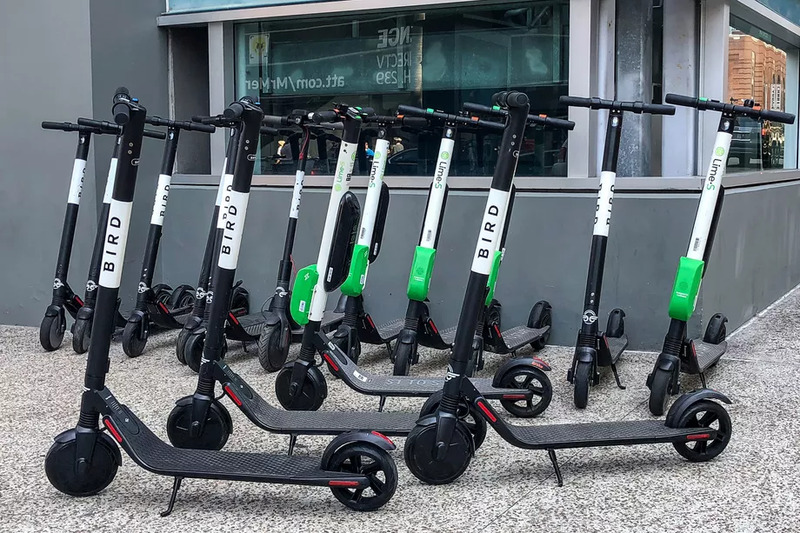 The scooters are battery powered and Bird App users can be paid to find and recharge them, as there are no dedicated docking racks. 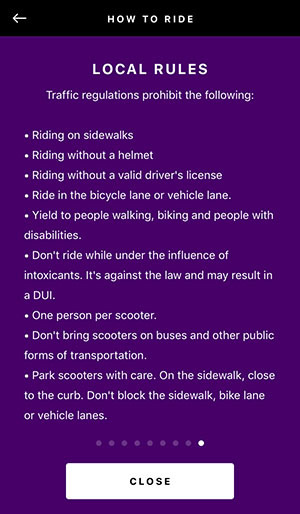 OKCTalk has learned the matter of electric scooters have been discussed in private meetings with the City Manager and City Council. The city seems to be in discussions regarding bringing in a sanctioned electric scooter company – such as Lime, Bird's chief competitor – in order to better control the scooters and their usage. This is a developing story which will be amended with new information as it becomes available.